I just posted a new original recording to Soundcloud. Back in May of 2015, I came up with the guts of this song while driving home to Massachusetts from Northern New Hampshire. My mom was in hospital up there and I did that drive a lot, leaving lots of time alone in the car to ruminate. The street sign on 93 pictured here is what inspired the words. And me finding that image in under 2 minutes is proof you can find an image of anything on the Internet. I sometimes record myself singing a tune using my phone in the car so I can recall it later. That eventually got worked into a full song and finally, this month, got recorded. The recording features my Martin T1K as the primary rhythm instrument. 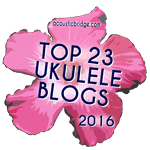 And just realizing I haven’t posted a review of that uke on here yet – definitely need to get on that. The bass is my MIM Fender Jazz, which I’ve been playing regularly with Secret Rhythm Project. And the drum track is assembled from samples in Ableton Live. My ear is better than my ability to sing in tune, so this recording process has inspired me to do some regular and diligent vocal practice. Google Music has a bunch of vocal training material like Voice Building Vocal Exercises for Singers by Sam West. My plan is to bang through 15 min or so of that every day in the car to and from work. Lots more song snippets like the one that started this tune lie waiting for my time to develop and record them. And I am on somewhat of a creative streak, so hopefully more to come soon. Until then, happy new year! Thanks. Well I suppose there’s some irony in there somewhere – a post about a website working, not working. I was pretty amazed when the KoAloha website was finally updated. It’s probably a good thing no one near me sells them as they’re kind of spendy. Finally listened to the song on this post too. Good mix. Makes me want that U-bass a little more now (I know you used a proper bass).